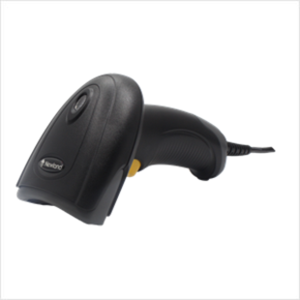 Armed with Newland’ technology, the NLS-HR11 Plus is optimized for fast scanning of barcodesprinted on paper or displayed on screen to cater to the diverse requirements ofemerging applications including O2O. Blendingergonomics and aesthetics in its design, the scanner not only ensuresoperator comfort and productivity for intensive hand-held scanning but alsomeets the aesthetic needs of the O2O era. The NLS-HR11 Plus delivers outstanding scanningperformance and excellent user experiences at an affordable price. The scanner allows customizing scanned data with ease andprovides supporting software to address diverse application needs. The scanner built into an IP42-sealed and drop resistant(1.5m) housing with no moving parts fortifies itself inside and out. Symbologies AIM 128, Code 11, Code32, Code 39, Code 93, Code 128, Codabar, COOP 25, Deutsche 12, Deutsche 14, EAN-8, EAN-13, Febraban, GS1-128, GS1 Databar (RSS), ISBN, ISSN, ITF-6, ITF-14, MSI-Plessey, Plessey, UPC-A, UPC-E, Industrial 2 of 5, Interleaved 2 of 5, Matrix 2 of 5, Standard 2 of 5. Smart Stand Used for hands-free scanning. Power Adapter DC5V power adapter to power the scanner with RS-232 cable.